When you hire a mold removal specialist to eliminate hazardous mold growth in your home or business in Atlanta, Georgia, they will use an array of equipment and techniques to remove the mold and prevent it from returning. They will determine which mold removal methods to use based on factors such as the extent of the mold growth, the amount of moisture in the area, and the level of risk that the mold could spread into other areas. 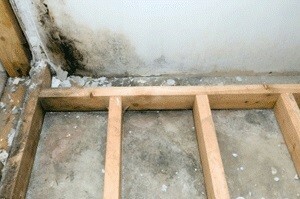 Because mold needs moisture to grow, water extraction work often precedes mold removal. So, if you’ve recently experienced a plumbing leak or roofing leak that has allowed mold to grow, the mold company will likely use equipment such as water extractors, fans/air movers, and dehumidifiers to dry the space, measuring their progress throughout the process with tools such as moisture meters. Once the mold removal company has removed the source of moisture, they may deem it necessary to set up plastic containment barriers around the area where the mold has grown. That way, they can put the space under negative pressure and filter mold spores out of the air. Next, they will carefully bag any mold-damaged parts of your home or business in Atlanta, GA, that can’t be salvaged, clean moldy items with a peroxide cleaner, and apply a fungicide as needed to kill any mold that remains. If you want to hire a mold removal specialist that will use the most efficient methods to rid your home or business in Atlanta, GA, of hazardous mold growth, contact Abatement Solutions, Inc. We are a full-service mold remediation company that will not just remove the mold, but also prevent it from returning by applying a protective treatment to any indoor surfaces that face risk of mold growth. In fact, we also back our mold prevention services with a 10-year warranty for your peace of mind.